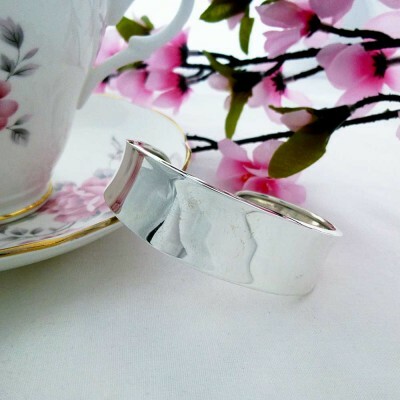 A chunky ladies torque bangle made in 925 sterling silver. The medium sized Zara plain dished torque has a dish shaped shiny surface and a perfect fit for most ladies wrists. 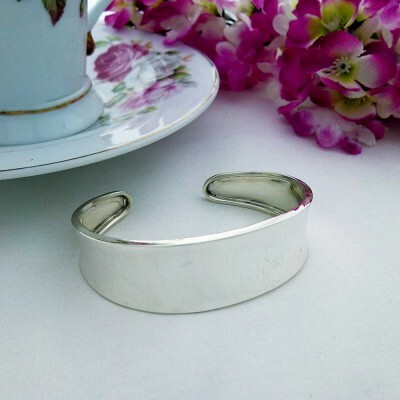 The glamorous Zara Plain Dished Torque is a lovely wide silver cuff bangle that will look beautiful on your wrist. 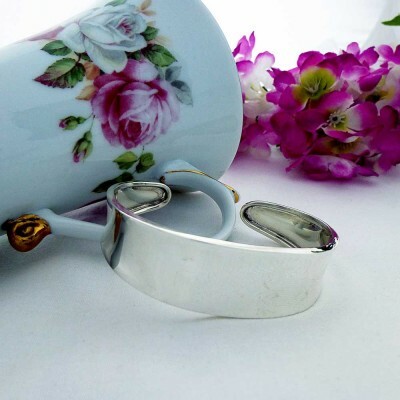 It is an open style bangle keeping with the traditional torque bangle style. 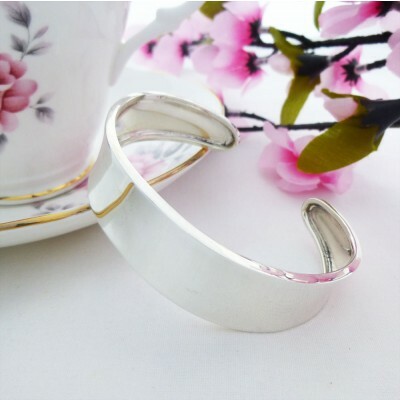 This beautiful plain torque bangle has a shiny outer surface that is highly reflective with slightly raised outer edges that create a smooth dish shape with a slightly raised outer edge. The feel of this bangle on your wrist is gentle, comfortable and creates a wow factor, making this a perfect piece to wear for a sophisticated evening or for alternatively, to wear all day long! The Zara Plain Dished Torque is fast becoming one of our most popular quality ladies sterling silver bangles. 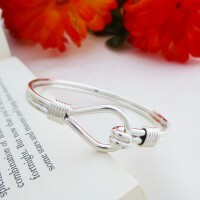 The Zara Dished Torque, a best selling silver bangle, stunning value for money and perfect as a present! The Zara Plain Dished Torque measures approximately 1.7cm wide.